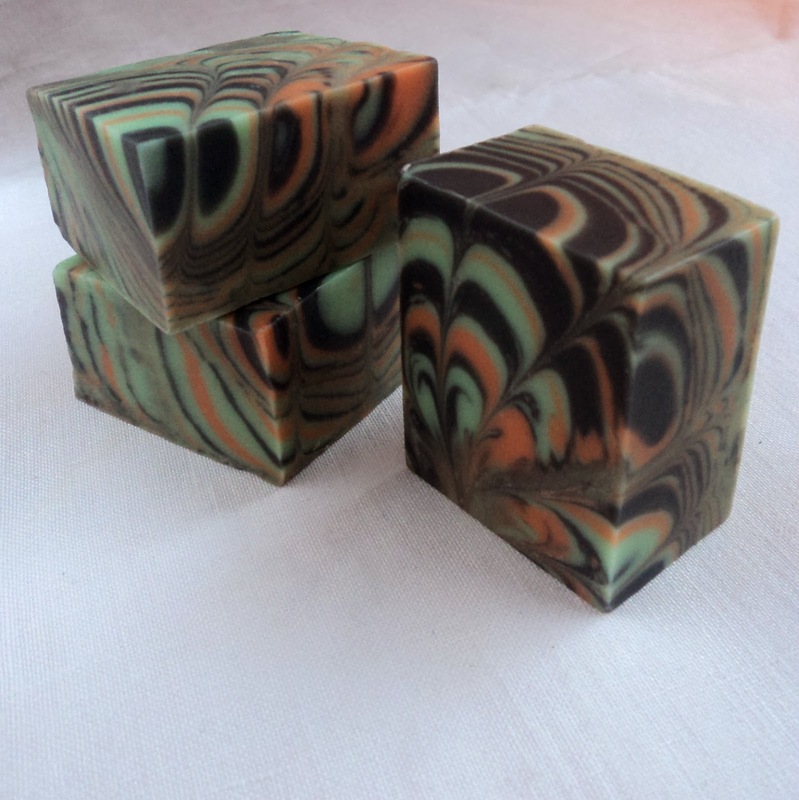 The inspiration for this soap comes from my dear husband. He has been talking about this particular colour combo for several months. He would like to make a bright orange, green and black soap. 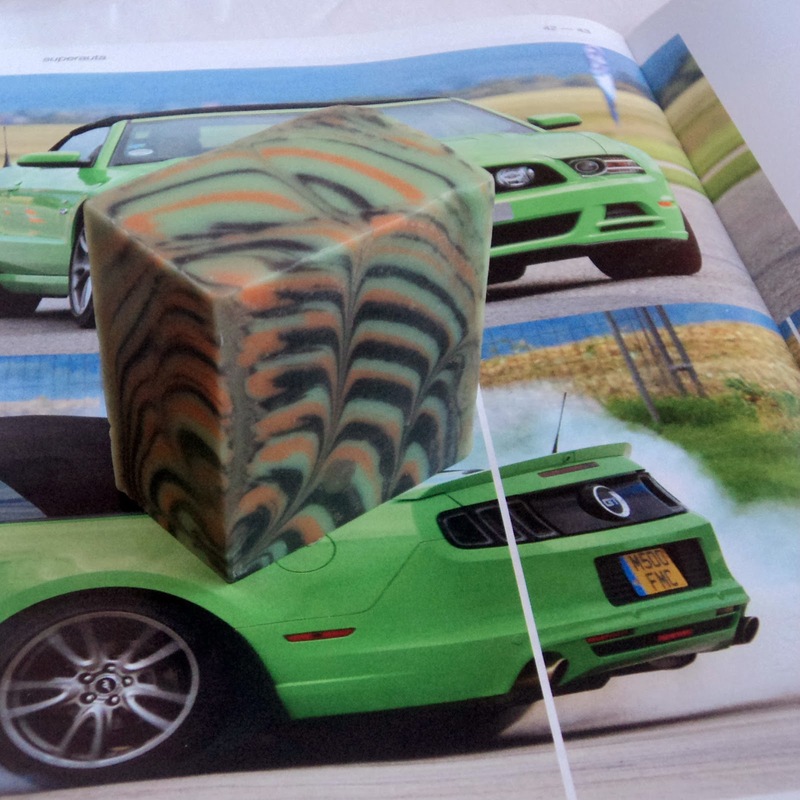 I just didn´t have the idea for a matching scent and design...until this month´s Soap Challenge. This was my first attempt at Column Swirl. I wanted to try a new fragrance, Orange and Chilli. And these colours seemed just the right ones for it. I used mineral pigments and charcoal. I chose to pour across one central column - made from two wooden blocks. 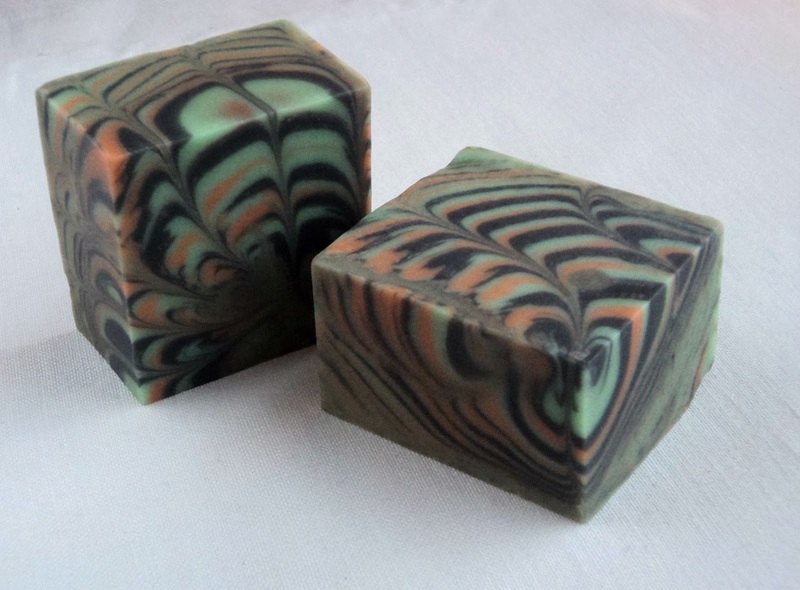 Scented with a blend of Orange & Chilli, Cedarwood and a hint of Honey. Soap with buttermilk, silk and shea butter. I asked my husband Peter why he wanted these colours, he said he likes the combination because for him it feels like energy, movement but also serenity and patience. Creative color combinations! They look great together. I love the color combination, too - I have used similar combinations in the past but it never came to me to try it with orange. 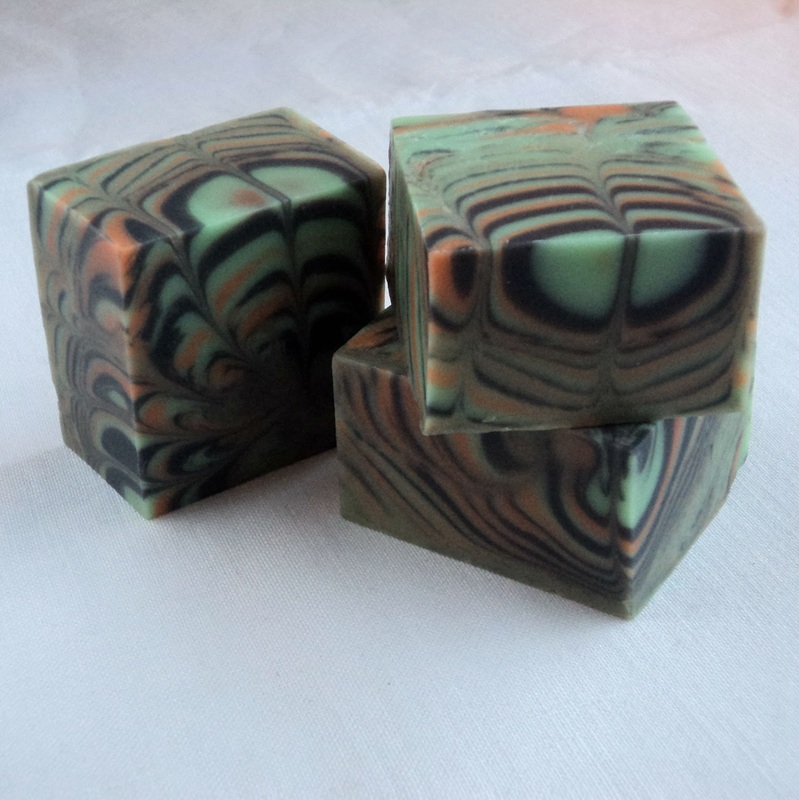 The orange color does give it that special feature which makes the soap stand out!